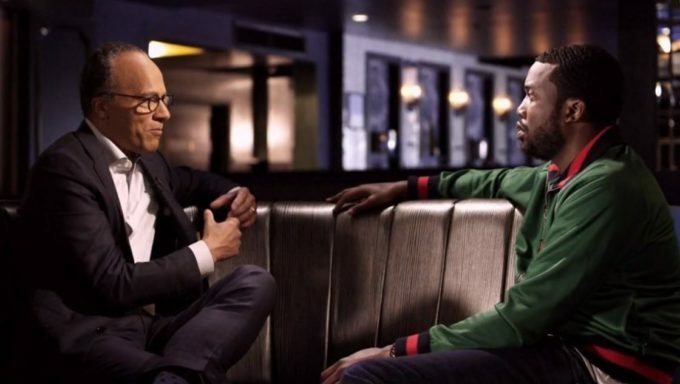 The Meek Mill story has started a whole new movement about justice reform and NBC News has been a big support in it. NBC News’ Lester Holt sat down with Meek Mill for the rapper’s first television interview since being released from prison last month. The broadcast, which aired in full yesterday, featured exclusive access to Mill’s release, including footage of the rapper flying on a chopper with Philadelphia 76ers co-owner Michael Rubin moments after leaving prison.